Fundamentals of Physical Volcanology is a comprehensive overview of the processes that control when and how volcanoes erupt. Understanding these processes involves bringing together ideas from a number of disciplines, including branches of geology, such as petrology and geochemistry; and aspects of physics, such as fluid dynamics and thermodynamics. This book explains in accessible terms how different areas of science have been combined to reach our current level of knowledge of volcanic systems. It includes an introduction to eruption types, an outline of the development of physical volcanology, a comprehensive overview of subsurface processes, eruption mechanisms, the nature of volcanic eruptions and their products, and a review of how volcanoes affect the environment. 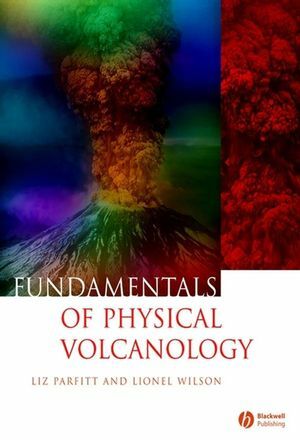 Fundamentals of Physical Volcanology is essential reading for undergraduate students in earth science. Dr Elisabeth Parfitt is currently a Honorary Research Fellow at Lancaster University, UK, and has previously been a faculty member of the University of Leeds, UK and the State University of New York at Buffalo in the USA. Professor Lionel Wilson heads the Planetary Science Research Group in the Environmental Science Department at Lancaster University, UK, where he has worked for the past 37 years, and is a visiting Professor at the University of Hawai’i and Brown University in the USA. Both have focused their research on the physical processes that control volcanic eruptions. 1.2 Styles of Volcanic Eruptions. 1.4 The Structure and Aims of this Book. 1.6 Questions to Think About. 2. Magma Generation and Segregation. 2.3 Volcanism and Plate Tectonics. 2.4 Melting and Melt Segregation in the Mantle. 2.7 Questions to Think About. 3.2 Diapiric Rise of Melt. 3.3 The Change from Diapir Rise to Dike Formation. 3.6 Consequences of Dike Trapping. 3.9 Questions to Think About. 4.2 Evidence for Magma Storage Within the Crust. 4.3 Formation and Growth of Magma Chambers. 4.4 Magma Chambers and their Impact on Volcanic Systems. 4.7 Questions to Think About. 5. The Role of Volatiles. 5.3 The Solubility of Volatiles in Magma. 5.6 Magma Fragmentation and the Influence of Volatiles on Eruption Styles. 5.9 Questions to Think About. 6.2 Influence of Gas Bubbles Prior to Magma Fragmentation. 6.3 Acceleration of the Gas–Magma Mixture. 6.4 Controls on Exit Velocity. 6.5 Eruption Plumes in Steady Eruptions. 6.6 Fallout of Clasts from Eruption Plumes. 6.10 Questions to Think About. 7.3 Transient Eruptions Involving External Water. 7.6 Questions to Think About. 8. Pyroclastic Falls and Flows. 8.2 Fallout of Clasts from Eruption Columns. 8.3 The Application of Eruption Column Models. 8.4 Pyroclastic Density Currents and their Deposits. 8.7 Questions to Think About. 9.2 Origin of Lava Flows. 9.3 Types of Lava Flow. 9.5 Rheological Control of Lava Flow Geometry. 9.7 Lengths of Lava Flows. 9.8 Surface Textures of Lava Flows. 9.9 Effects of Ground Slope and Lava Viscosity. 9.12 Questions to Think About. 10. Eruption Styles, Scales and Frequencies. 10.2 Chemical Composition and Styles of Volcanic Activity. 10.3 Chemical Composition and Effusive Eruptions. 10.4 Chemical Composition and Explosive Eruptions. 10.5 Summary of Compositional Controls on Eruption Character. 10.6 Magnitudes and Frequencies of Volcanic Eruptions. 10.7 Elastic and Inelastic Eruptions. 10.8 Eruptions of Exceptional Magnitude. 10.11 Questions to Think About. 11. Volcanic Hazards and Volcano Monitoring. 11.2 Types of Volcanic Hazard. 11.4 Monitoring Volcanoes and Short-Term Eruption Prediction. 11.8 Questions to Think About. 12.2 Evidence for the Impact of Volcanic Eruptions on Climate. 12.3 Satellite Monitoring of Climate Change after Volcanic Eruptions. 12.4 The Effects of Volcanic Eruptions on Climate. 12.5 Volcanoes and Mass Extinctions. 12.8 Questions to Think About. 13. Volcanism on Other Planets. 13.2 Volcanically Active Bodies in the Solar System. 13.3 The Effects of Environmental Conditions on Volcanic Processes. 13.13 Questions to Think About.